When I was Geocaching a lot, I used a trekking pole everytime we went out. It gave me extra balance, allowed me to stick it into areas to check for critters before I reached for the cache. I used it once to hit an aggressive dog that was coming at us (after that event everyone that went caching with us went and got trekking poles). I still have the one I used, it was a solid piece with an adjustable leg. Most of them went and bought lightweight collapsible type poles (which I have some of those in each vehicle), but I preferred mine that had a little heft to it and could take a beating. I tried the two pole system, yet I would sit down one pole and then have to go back and get it, just never liked the two pole setup. I use hiking poles when I am hiking with a pack. Usually just one pole is sufficient but sometimes on steep/rough ground and/or with a heavier pack two poles work best particularly as you get older. For mods, I usually wrap a length of duct tape and a length of electrical tape around each pole. Use the tape for fixing packs, shoes, blisters, etc. A carabiner on the wrist strap helps you attach it to your pack if it doesn't have loops. When my wife and I went to Alaska a couple years ago I always carried two poles, though usually used one. There were times when I gave one to my wife and other times I hung it on my pack which had loops on the side. Sometimes on vacation I use a single hiking staff that has a knob on one end. The knob screws off and you screw a camera on to it or to use as a mono pod/selfie stick. It also has V shaped screw on head to use as a rifle rest. I bought a pair of treking poles for my wife for Christmas. She had picked them out and put them on her list. Fully extended they are 6" shorter than mine. That brings up a point I didn't consider or notice before, make sure when looking at poles that you look at the overall extended length. I am quite a bit taller than she so her poles are too short for me but she could use mine since they collapse. That is something I hadn't considered before. Thanks, that's good to know. I have trekking poles. Some I made. Some commercial. 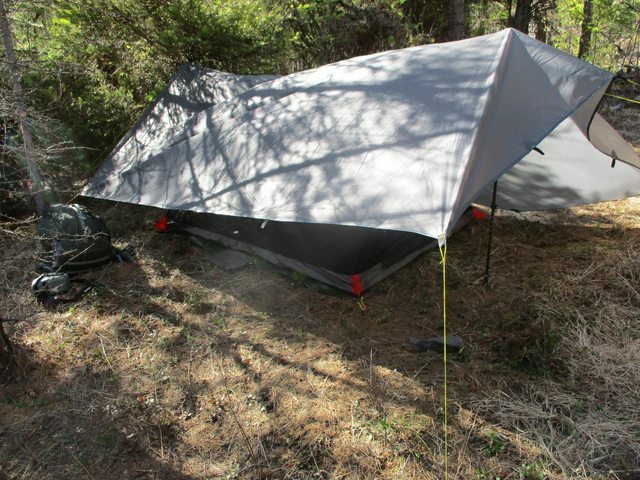 If you are a serious trekker, get the fold up or collapsible kind. And, if you are going on a commercial air liner, call the darn airline in advance and get the name of the person giving you advice. Some airlines have no problem. Others do. This is the reason for the recommendation of a unit that you can stick in your luggage. When I first started making them out of wood, I was concerned about blisters. So, I glued leather. Now I would wrap a unit in electrician tape and then tennis racket tape. When I made them, i had to be concerned about the point. Do I put on a rubber tip? Do I construct a metal tip. Some of the commercially available units allow you to have either. I did an experiment. In the middle ages, there were people trained in using staffs as weapons. Shorter people than today and with a staff, most could not enter a room in the middle ages with a staff upright (not withstanding what you see in an Errol Flynn movie). So, I built one based upon the design of the middle ages for a person of my height. Good grief! You could kill a person with one, but never be able to carry it very long or use it indoors. A Leki Scout sits at the front door at home. I am a fan of the good old fashion stick. And only if I'm in rough terrain with heavy pack. (01-22-2018, 02:23 AM)Bob Wrote: [ -> ] I am a fan of the good old fashion stick. And only if I'm in rough terrain with heavy pack. Speaking of walking sticks, I've found another good one a couple weeks ago. It was a dead Cedar tree I pulled up and it had character and potential. Vibrates bad in the middle which is kind of annoying. Thinking about wrapping some paracord around it in some cool way to help soak it up some. The file you attached is too large. The maximum size for that type of file is 500 kilobytes. I'm a recent convert to trekking poles. I've noticed my hiking pace is faster, especially when wearing a (heavy) pack. Though more difficult to measure I believe there is a benefit to my high mileage knee and hip joints. Adding a few feet of Duct Tape is the only mod I've made to them. 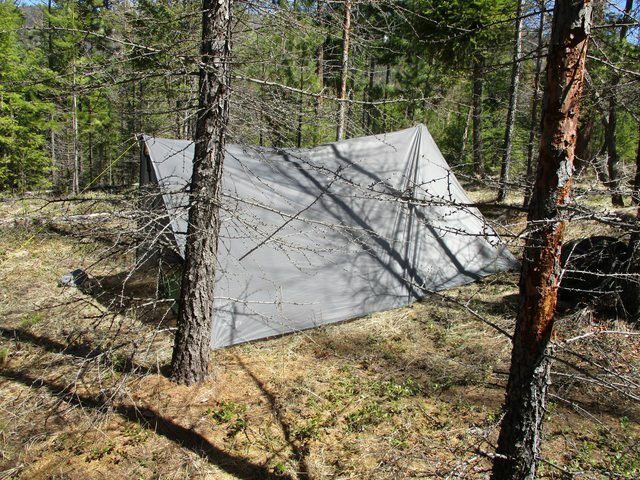 On a recent trip I used them for tent/tarp poles.